Closer to the holidays, Australian dealerships want to get rid of cars for the current sales year, which are still on their lots. Car buyers, if you are in the market for a new car and plan on keeping it for a long time, then you can get a brand new vehicle for a very good price. When car buyers see advertising end of the year clearance, this means the dealer must unload the current inventory before the new cars arrive in the showroom. The big surprise here is that you can take advantage of their wishes to sell current year’s cars. Before you make a purchase, first you should think of the best way to sell your current car. 1. Remember end of the model year isn’t the same as end of the calendar year. Go shopping September through December to get the absolute best prices during end of the model year sales. 2. Take note of advertising, that make mention of the best car deals for 2013 model year inventory. 3. New cars that are due out in 2014 may be noticeably different in features and appearance. Compare the current year model to the new ones. If there’s a major redesign or a significant difference in technology, chances are you can save more money by negotiating for an even lower price based on the differences. 4. The difference may be tough to pinpoint, but it’s worth negotiating. 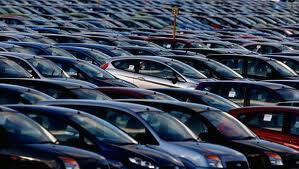 No matter what, the dealer must get rid of the old inventory, by selling brand new cars at bargain prices. Whenever there are cars left over from the current year, the greater the incentive to eliminate all inventory by the end of December. 5. Typically, you can save maximum of AUD10k during if you purchase a car during this deal. 6. Ring us to find out what we can offer you as trade for the car that you are driving now. We pay more that dealership and the best part is we pay cash!